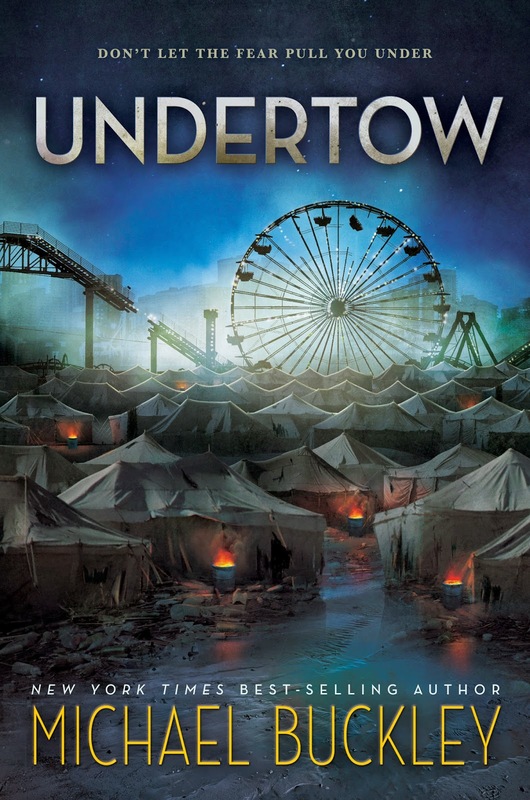 Undertow is a book that took me a little bit by surprise how it managed to keep me rooted to my seat. It did start out a little slow for me. I was sucked in by the first couple of pages but then was kind of waiting for something to happen. When I got about 70 pages in, it took off. I read the rest of the book in one day. I was just so hooked on what was happening. I’ve never seen District 9 and only watched maybe an episode of Starcrossed. So I can’t tell you if it’s like those or not. I can tell you that it really kept my attention and I was fascinated by many different aspects. I don’t know much about Coney Island. I actually looked it up on tripadvisor out of curiosity of what it’s like now. I could easily see how the setting could change to that of the book. The description really formed in my mind the slum version of Coney Island, with crazy gangs running the streets and it becoming blocked off due to the Alpha being there. The characters are so interesting including Lyric herself. She describes how she used to be, a total party girl and rule breaker, to how she is now. The girl that blends into the background. Normally you see a main character with a more innocent background and it was neat to see this wild teenager from her past. She says she can’t be that girl anymore but you see that there is still a little bit left in her. She can’t completely stamp it down. Even though she knows what she is and who she is. She hasn’t really found balance and acceptance. That’s what really changes with her. I love the solid relationships he has with Bex. Even though Bex is not the main character she is still a major player and a true friend. Bex has her own issues that come from living in a more destitute world of the Zone. Shadow and Lyric’s parents are a constant presence but they were definitely more supporting roles. I liked how much interaction we do actually see with the adults. It’s not like they just run off and let the kids handle things. Ugh the Arcade thing. It made sense that Arcade doesn’t just walk away but still. The Arcade thing. Also Doyle was interest as well. I didn’t always have the greatest grasp on what the Alpha looked like in my mind. I could picture some of them like Fathom and Arcade but some the others like Ghost. It was kind of just a rough sketch. I don’t think it had anything to do with how they were described, just me trying to put it together. I liked that they didn’t just magically look human and were proud to keep their cultural differences. I was fascinated by things of how they function in their home. How do they stay in one spot without the current floating them away. When a fish comes out of water it can’t survive. How do they survive. Do their bodies change, like a transformation. We see a little bit more with that towards the end of the book. I would probably down at the shore asking a hundred million questions and they would probably eat me just to get me to shut up. Undertow takes discrimination head on. They don’t only talk about humans versus the Alphas but also different types. I always wonder what would happen if a book like this really came to life. I think the way people treated the Alphas is horrible but I think some of it is rooted in fear. It’s something that gets the gears in your brain turning. I really enjoyed the book and I think if you enjoy Invasion stories that show the discrimination aspect of what would happen. This is a great and interesting read. I already want to know what’s going to happen next. I added the second book to my tbr upon finishing. 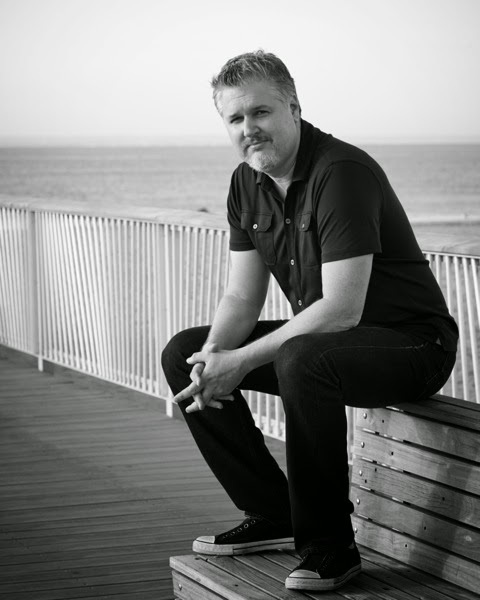 New York Times bestselling author Michael Buckley was born in Akron, Ohio. He tried his hand as a stand-up comic and lead singer for a punk rock back before attending Ohio University. After graduating with honors he moved to New York City to be an intern on the Late Show with David Letterman which led to stints developing programming for Discovery Networks, MTV, MTV Animation and Klasky Csupo (producers of Nickelodeon’s Rugrats). Today he lives in Brooklyn, New York with his wife, Alison, and their son Finn. 5 winners will receive a prize pack that contains an Undertow beach towel, beach bag, bookmark, a finished book. US Only.